Serendipity plays a key role in this search for ‘a new perspective’. On an enigmatic island at the periphery of the West a delightful Place is discovered. 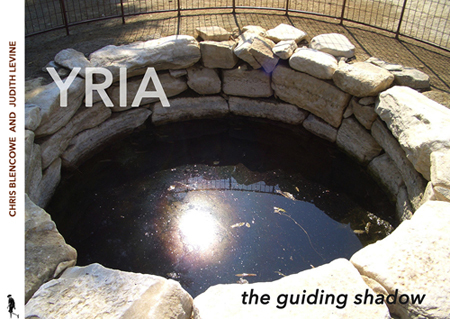 Sacred to the wayward god Dionysos, and recently unconcealed after two millennia as a ‘forgotten void’, at its heart was a revolutionary marble pavilion and mysterious well. The subtle and elusive sensibility that emerged on Naxos - at Yria and the nearby sanctuary of Demeter in the 6th century BCE - would become a metaphorical Ariadne’s thread leading to the astonishing refinements of the Parthenon in its eloquent relationship to the landscape. Subsequently lost in the aftermath of conquest, the enlightened techné of the archaic artists would resurface in western architecture following the legendary epiphany experienced by Le Corbusier and a group of avant-garde artists during their brief cruise to the Kyklades in the fateful year of 1933. The thread is followed through key works of visionary artists and architects of recent times and illuminated by a comprehensive text, numerous sketches and high quality photographs. Written primarily for the general reader with an interest in Art and Architecture, History and Mythology, Poetry and Philosophy; as an account of architectural origins revealed by recent archaeological discoveries this book will also interest the specialist.